For the fourth challenge Rachel Axton decided to showcase her friends who are a big part of who she is. Especially Rach who she first met in 2001, and so decided to spin the 'then and now' to talk about their relationship back then and now. Rachel has used the xyron to adhere the Heidi Swapp Silhouette and then used a brad to further secure it. She also decided to create her own accent with the flower, by drawing a flower on a scrap of white cardstock and securing it with a rhinestone brad. 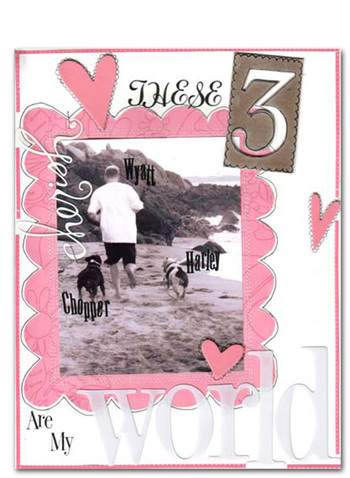 As Marni does not have any children yet her husband and her dogs make up her world and to tell you the truth she loves her dogs like they are her kids and that's the reason for this layout. 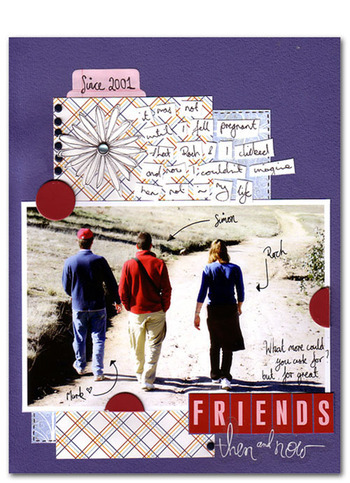 Marni hand drew then cut the backing piece for her photo out of a piece of 9x9 Heidi Swapp patterned paper. To lift it off the page she drew around it with a black pen and sewed a frame around the photo. She continued the scalloped theme by drawing around the 3 and the hearts. 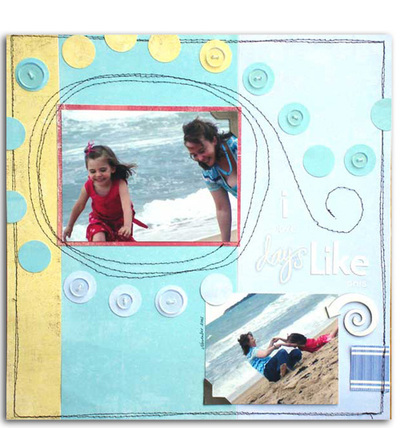 Marni finished her layout with a Heidi Swapp silhouette word and some decorative tape as well. Mel's friend Susan Doyle took these photos of Mel and her daughter Bella when they visited Melbourne last year. Mel's favourite days of her life are the relaxing ones, hanging out with friends and/or family, no work stress or other things to think about, just fun! She chose to keep this page simple adding a swirl of circles, stitching and a splash of clear buttons. 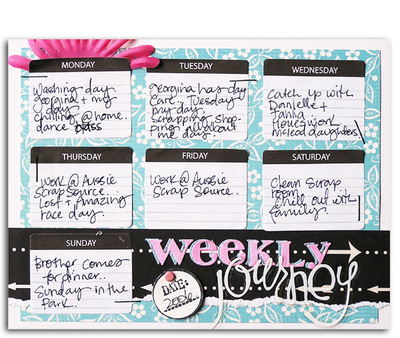 Nic has chosen to create a page based on a typical week and she has also chosen not to use any photos on this layout. Nic has used a mixed of SEI papers, and Heidi Swapp day jouranling spots to recorded her weekly events on. Nic has overlapped the BasicGrey Sticker letters to help them stand out, and then overlapped them with the Heidi Swapp Silhouettes. These were the days. The lovely selfish days of late nights, sleep-ins and only having to clean up after 2 people. 20 to Caz meant freedom. 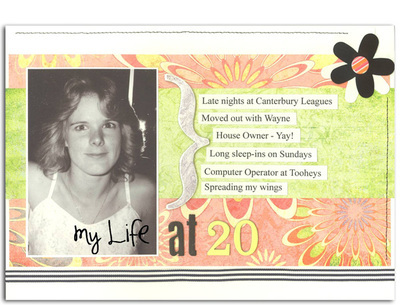 A house of her own, a stable job and plenty of friends to hang out with on the weekend.